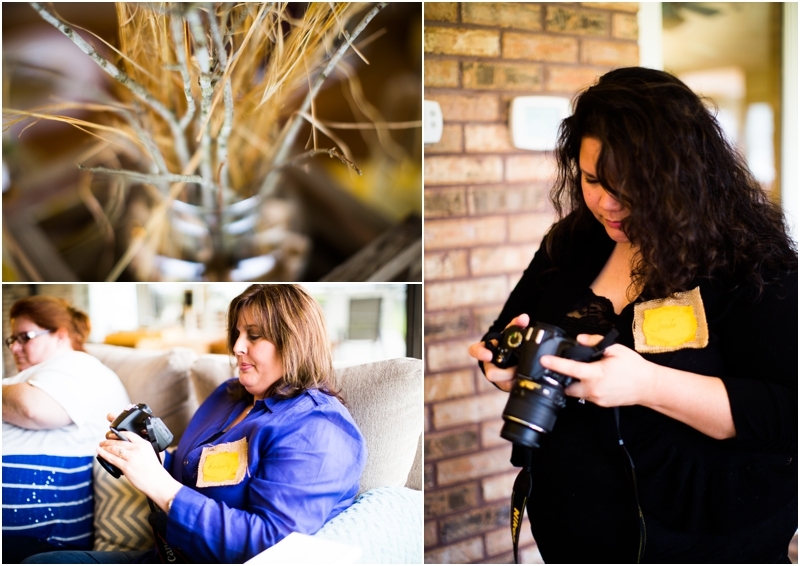 As a photographer and New Orleans Photography Workshop host along with the surrounding areas including Mandeville Covington and Slidell I have to say what a fun Saturday spent with 7 ladies aka mamas…all eager to learn how to better use their dSLR cameras! For starters…we ate orange scones, that are oh-sooo-yummy if I say so myself…and no I didn’t make them!!!! Then wejumped right in learning what all of their “buttons and knobs” are and what they can do for them. How they can use their cameras to take better pictures while taking full control of ISO, aperture and Shutter Speed. We learned about basic composition…I showed them a little about indoor lighting and if you can see the example below of the lovely, Gabrielle, and how much better the lighting can be just by facing your subject to the light…all while doing lots of hands on practicing inside. Shooting indoors is trickier than outdoors…so we wrapped up the day with a hands on “model” shoot with a lovely mama expecting! She was hands down amazing!!!!! With 7 cameras in front of her and at moments silence because they were soooo focused on what they were doing they couldn’t talk to her!!! She was amazing!!! This group was amazing! I loved all of their questions and interactions throughout the entire day…they were engaged and stayed with me straight through and didn’t let their minds become mush! !